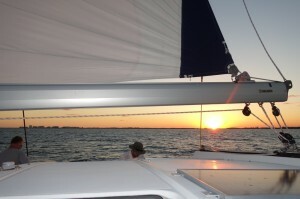 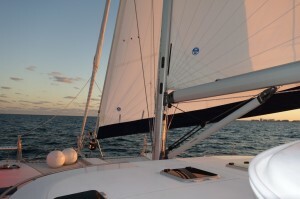 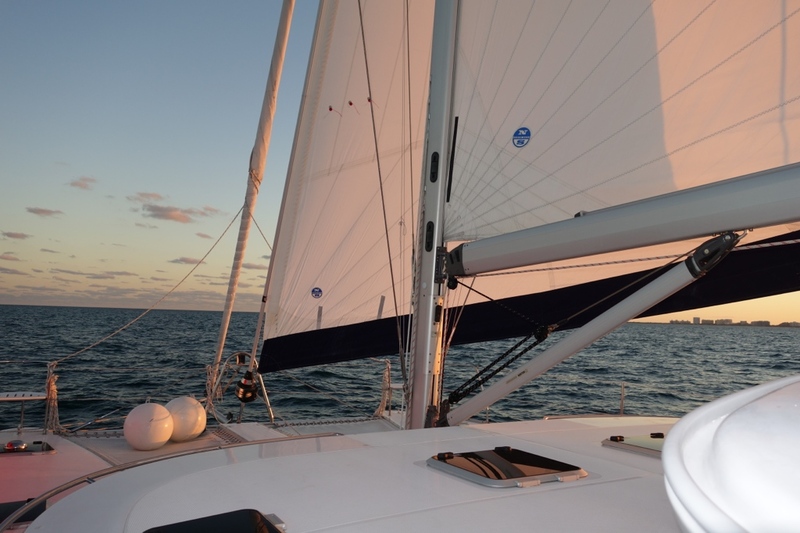 A highlight of our Miami Strictly Sail experience was a sunset sail on Gord and Debbie’s Antares 44i, Bella Luna. 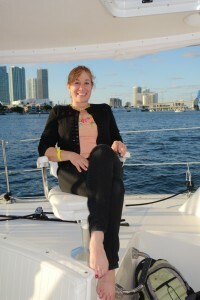 Although their boat is two years old, she is in pristine shape because they have taken care of her so well. 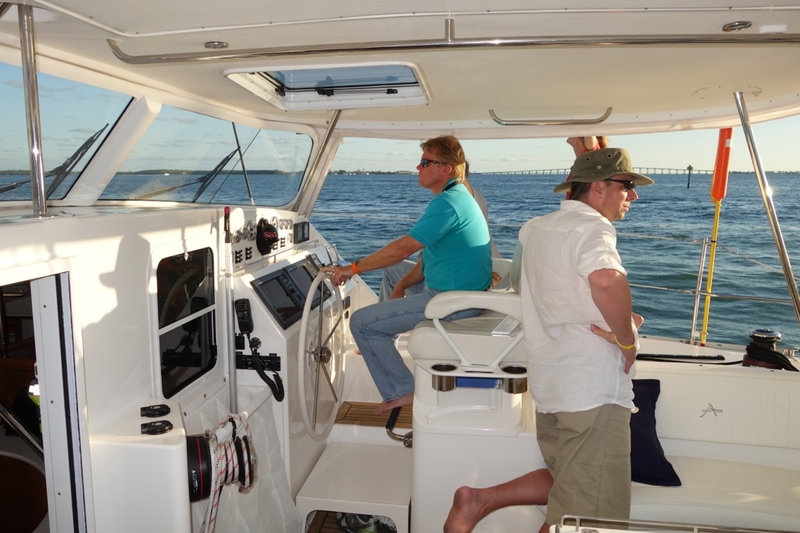 We joined Rob, Jeff, Salwa, Debbie and another Antares owner or two-to-be on board and spent a couple of hours off the coast of Miami. I found my favorite seat, which is unique to Antares, and a wonderful option. 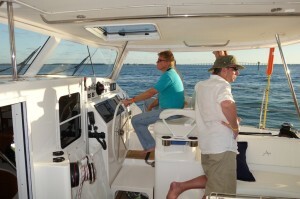 Rand talked to Jeff a lot about details of sailing the boat and how it operates.